When QR Codes were launched a few years back, the only thing that dragged them down was the fact that you had to install a code reader app in order to scan. Today, however this hurdle may have been eliminated, as Apple announced its built-in camera code reader in the latest release of iOS 11. Apple's new mobile operating system will feature many improvements and enhanced functionality, and will also give users the ability to scan QR Codes directly through the camera app without the need to download a separate software. 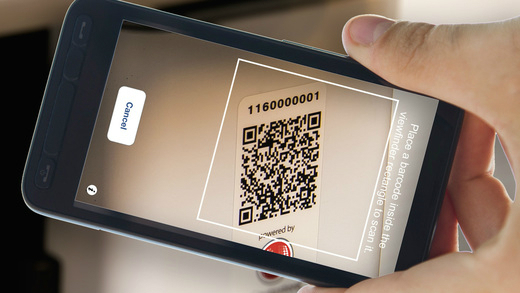 This means that QR code scanning will become more convenient for users with an iOS device. The move also paves way for a rebirth of the QR Codes and opens new marketing opportunities for brands and businesses to connect with people digitally. Even though QR Codes remained under the radar in recent years it is yet too early to exclude them from the marketing mix. They provide businesses and organizations with a simple and quick connection to users and create interaction from the offline to the digital world. QR Code scanning options have already been implemented in apps like Snapchat and Facebook Messenger and it could be a matter of time before other applications and devices embrace it too. QR Codes provide brands with another means to engage potential customers, as they can be integrated with just about anything and can be used as another channel for advertising. When used correctly, QR Codes offer unlimited possibilities to attract customers and combined with a little creativity and the right marketing campaign, they can benefit businesses in many ways.